Vena Solutions has announced a change in the leadership team. Don Mal, Founder, will return to the role of CEO and it has appointed Neil Thomas as Chief Revenue Officer. The news comes only a few months after Shawn Cadeau was appointed CEO after a stint as COO. His departure was sudden with no statement given about it. 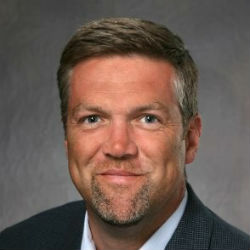 Thomas spent 11 years at Adaptive Insights as SVP Worldwide Sales and strategic advisor. He helped to grow Adaptive Insights during that time and left some time before the company was sold to Workday. 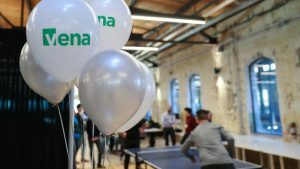 Still a private company, Vena Solutions also revealed some information about its third quarter. The company has achieved more than 60% software revenue growth in Q3. It also saw a 60% growth in new ARR added compared to the same period in 2017. It must be pointed out that this is not the same as an increase of 60% in ARR, but the numbers are still significant. Muse will also work closely with Thomas and was impressed by the difference he is already making. Thomas believes Vena can grow much faster with a change of strategy. There is likely to be an increase in inbound marketing with a target of 100% growth in ARR according to Muse. Muse also added: “I know we are going to grow the channel”. That channel includes technology partners as well as consultancies and SI’s over the next year. Vena signed a partnership with FinancialForce last year and this year with Deltek. It agreed a partnership with Sage Intacct less than a year ago and now has 20 joint customers. It also has customers that use Microsoft solutions as well as several others. Vena is hoping to add many more Sage Intacct customers during its first Sage Intacct Advantage. It also looking for channel partners of the vendors to work with. It already works closely with CrossCountry consulting (Sage Intacct and others). In terms of geographical expansion it has offices in Canada, US, UK and South Africa. However, it has a presence in several others according to Muse. This includes customers in Kazakhstan, Hong Kong, China and India. It is seeing growth mainly in anglophone countries and through its partner RVNA Tech, is gaining traction in LATAM. As the product relies on Excel there is little translation needed but the core product is available in 5 or 6 languages according to Muse. With Adaptive Insights acquired by Workday and Anaplan now under the watchful eye of the stock market there is an opportunity for Vena Solutions to grow. Muse is looking for new partnerships, both with SI’s or consultancies as well as other ERP vendors. He believes that while vendors may add budgeting solutions to their own product Vena will always offer an enhanced solution. With both the founder back in control as CEO and a new CRO in Neil Thomas who has done the expansion at an FP&A firm before Vena might start to expand rapidly. The trick will be to keep that trajectory going and avoid being bought out to quickly. Previous articleCould Beacon technology save the High Street?